Today is one of those days when the weather can’t decide if it should rain or snow. Frankly, the best thing to do on days like that is to buy some magazines and head into a nice cafe. Last week I spent some time around Skanstull and I was decided to go back this week. I knew exactly where I wanted to go: Twang. But I got there a bit early and Twang was not open yet. There is no shortage of cafes in that area so I knew I wouldn’t have to wait in the rain. On my way to Twang I had noticed a few nice cafés, thinking that I would have to spend a lot of time here. 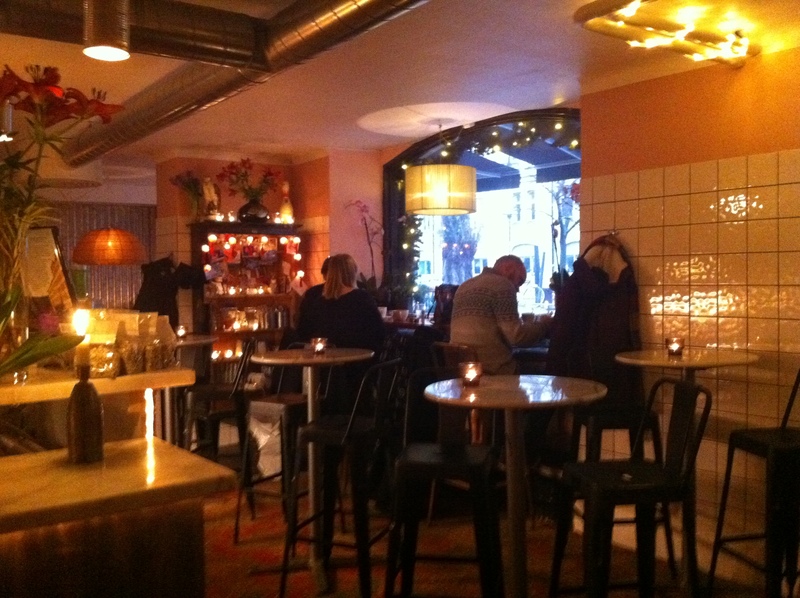 It’s the holiday season so I decided to go and feel the love at Fröken Anderssons! If you have read the previous posts you may have noted that there seems to be a lot of pregnant women or women with young kids in Stockholm. 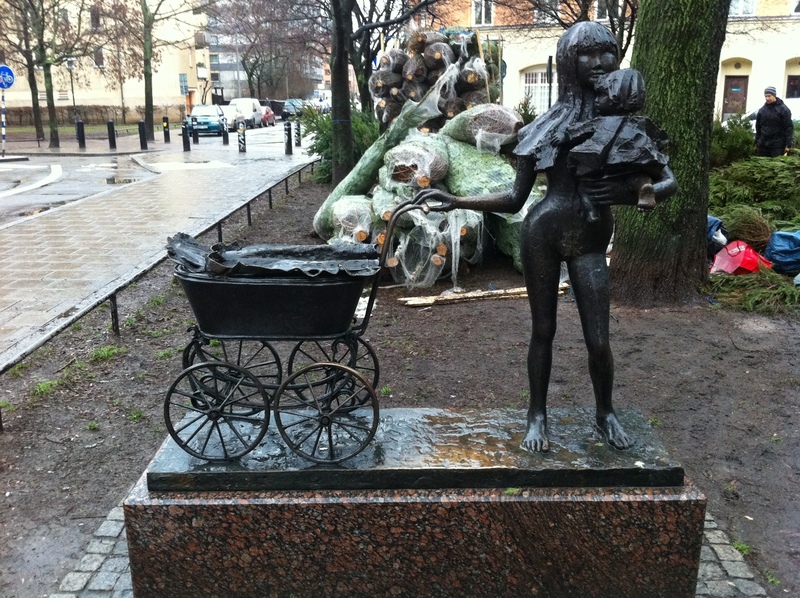 Well, this seems to be so important that women with young kids have officially been honored in a small park on Katarina Bangata! 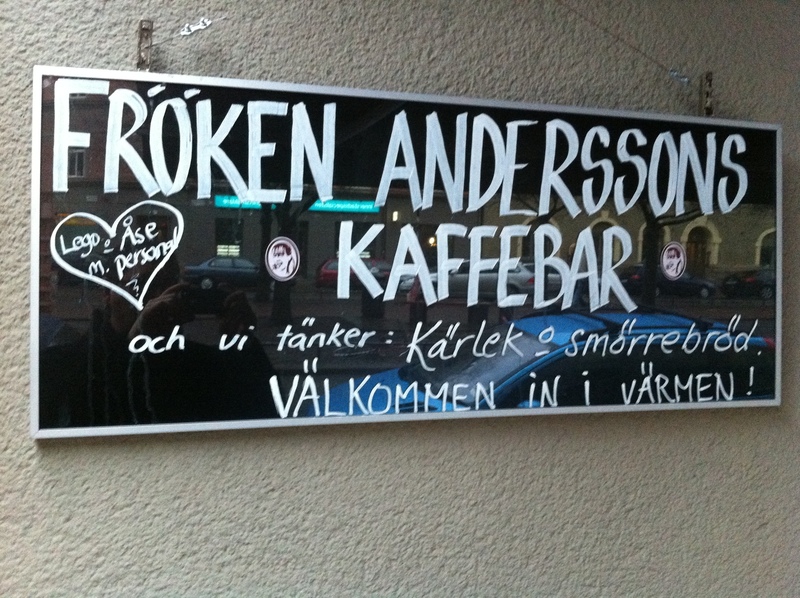 Everything at Fröken Anderssons seems to be about love…. 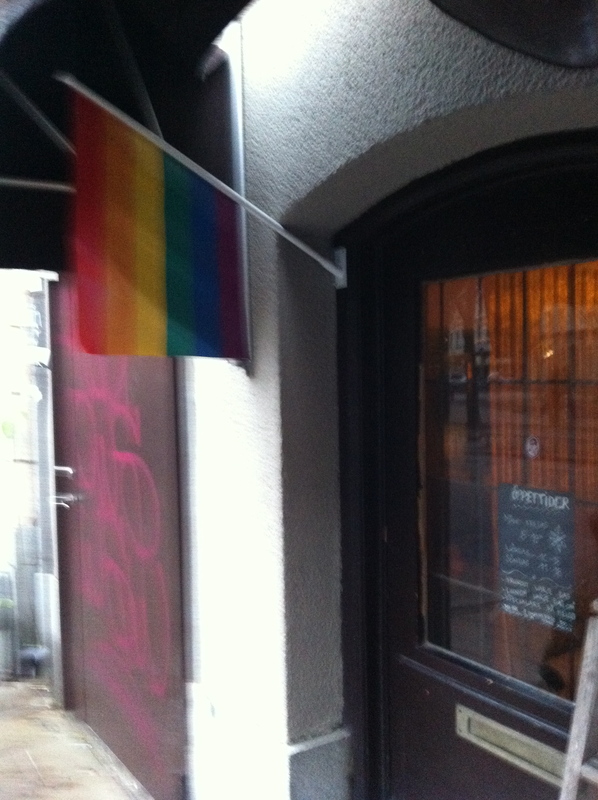 and one can feel the love in this nice little café. Staff is friendly, customers seem happy and everybody’s welcome! 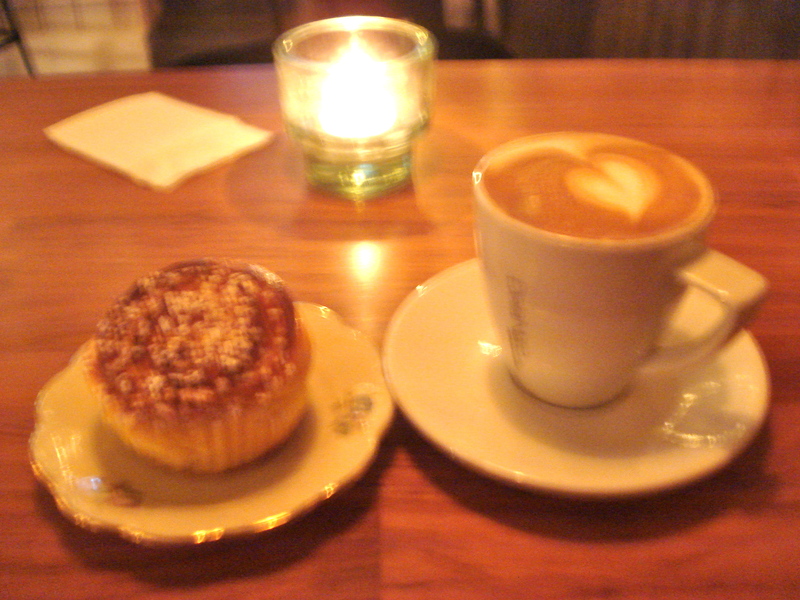 It is always very difficult to compare a cappuccino from one place to another but I have to say that coffee at Fröken Anderssons was very good. And the homemade saffransbullar was also excellent. The perfect match for this morning! 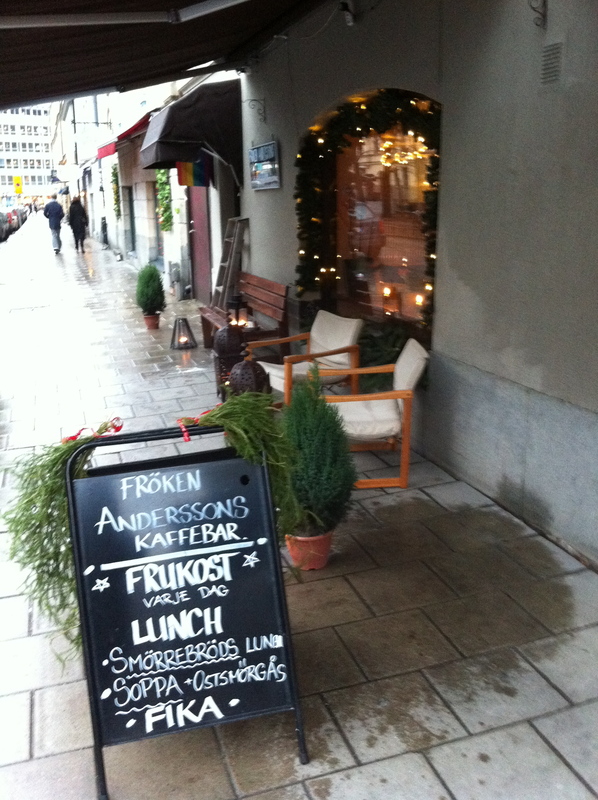 Fröken Andersson was the perfect stop on this cold and rainy Sunday morning. And I’m sure that it must be really nice to sit outside on a nice warm summer day as well. I suspect I will soon become a regular there too! 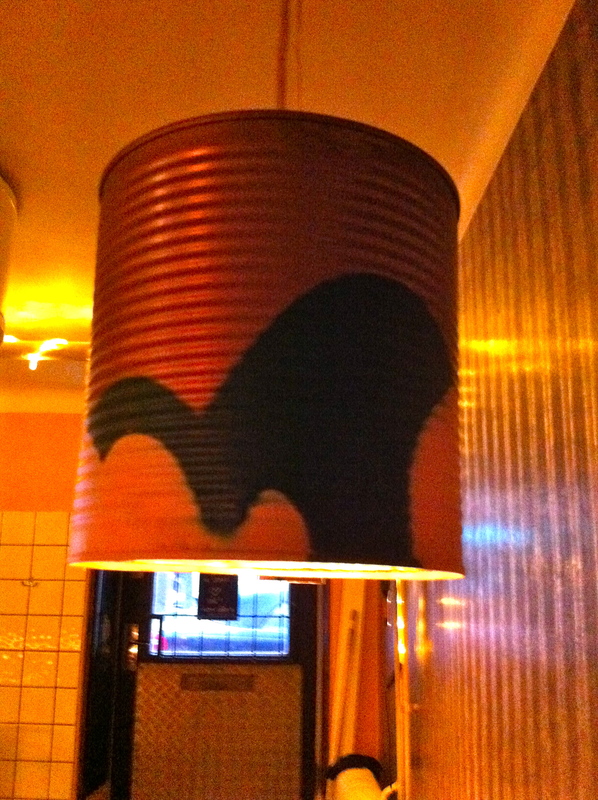 And that was the lamp at my table. Classic. Easy. But still cool! 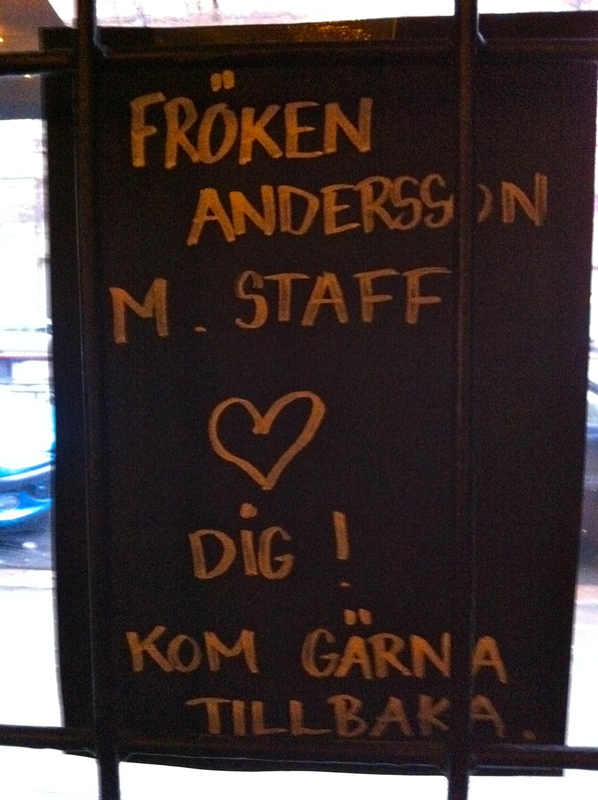 Oh, did I tell you that Fröken Anderssons and staff love you?